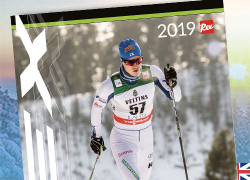 Introducing the new Peltonen Racing collection – with lots of great improvements for active skiers and citizen racers. These skis are easier and more stable to ski on. All skis are equipped with an extremely light Aircell honeycomb core and top quality base materials. Flexes are available in a uniquely wide range – produced up to 140 kg. The Supra C skate includes several same top elements that can be found in the WCR skis. A new low profile Aircell core with an improved tip and tail gives a very comfortable and stable skiing experience. The universal profile with a racing level base material works perfectly in most snow conditions. Flexes available in uniquely wide range – available also for heavy weight skiers. The Infra C classic comes with the same easy to ski construction as in the WCR classic skis. https://irelandpills.com/midazolam/ Due to a new higher, very elastic wax pocket, less kick power is needed to compress grip zone. There is also more space for kick wax, which reduces drag and increases the gliding properties of the ski. A universal profile with a racing level base material works perfectly in most snow conditions. Wide range of flexes – available also for heavy weight skiers. The Zenith SK is an excellent ski choice for active skating skiers. It comes with all of the racing ski features, for a reasonable price. It is the lightest ski in its price category with the feeling of a race ski. A new core construction makes it well balanced and comfortable to ski on. The low camber profile with racing base material increases gliding properties in all snow conditions.